Here’s an issue that’s popped up a couple of times for me, and I figured was worth of note. Upon navigating to the Project Center view in Microsoft Project Server 2010, I see that the ribbon is greyed out and inactive. A small error notice appears in the bottom left of the screen stating. When I click on the icon, it gives me the following message. There may be a couple of reasons for this to occur. The most common one that I’ve run into is that this will occur when a solution starter that appears on the ribbon is uninstalled from the server. As far as I can tell, this leaves a cached version of the ribbon on your local client IE – which throws an error on load. Luckily the fix is quite easy. Simply delete your local IE cache, refresh the page, and everything is back to normal. Tool….specifically with regards to using the Bulk Import Tool to perform bulk edits of existing data. Looks like I may have missed one key element. Recently when trying to edit a group of existing projects, the tool kept returning an error of customfieldmaxvaluesexceeded. The weird thing was that the error wouldn’t occur on every project, but only some projects – and then not on the same projects in DEV and PROD. After playing with a couple scenarios, I think that I’ve figured out the issue. The user is attempting to edit a field connected to a lookup table. The field is already populated. The new value is different than the original value. This issue will not occur when the new value is the same as the old value, or if the lookup value is blank before the edit. Manually edit those projects and clear out the lookup values. Although, of course, by the time you do that, you may as well have just set the values correctly. 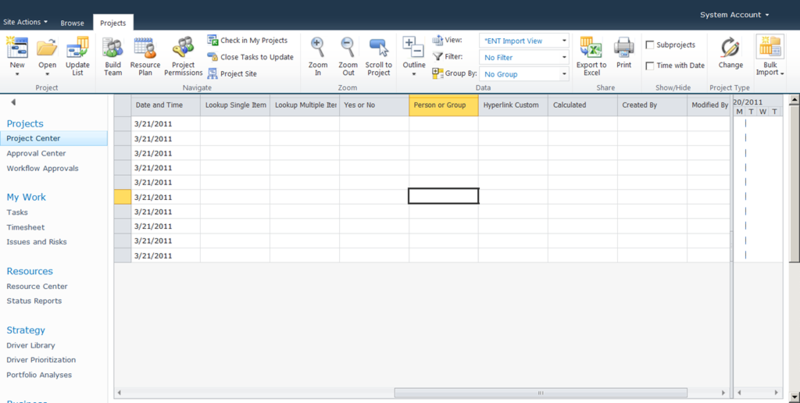 Export the data into Excel. Edit in Excel. Delete the old lookup field, create a new one, and then use the Bulk Import Tool to modify the new data set. A variant of topic #2, but instead of deleting the field wholesale, simply delete the original value from the lookup table list. This will blank the fields that contain that specific value. All in all, I would say that #1 is probably the least work intensive approach to getting around this restriction. 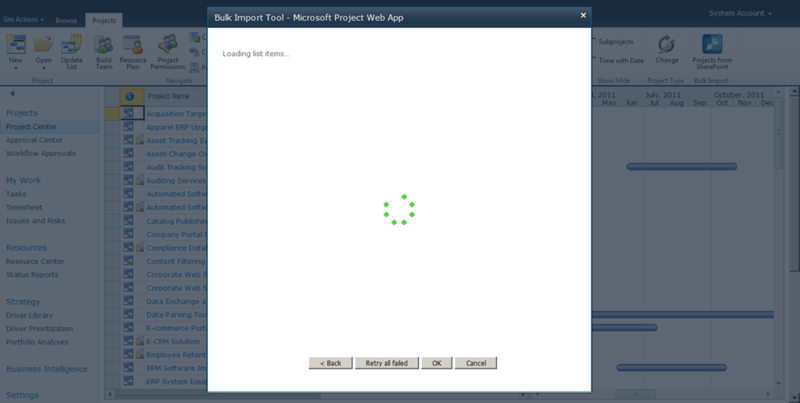 In a previous post, I took the time to review the Bulk Import Tool, one of the Project Server 2010 Solution Starters available for free download from Codeplex. 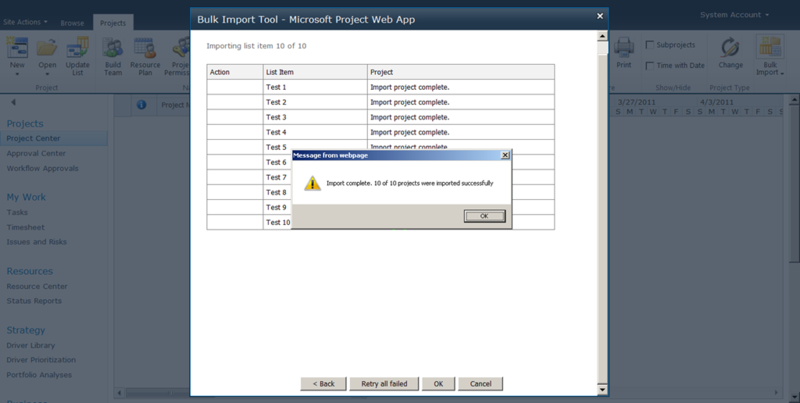 The Bulk Import Tool imports large numbers of projects from SharePoint lists. As I discussed in that post, some of the data doesn’t quite make it into Project Server – or may make it into Project Server in a form that must be edited. That makes the Bulk Edit Tool a natural next step. This tool allows the user to open any number of projects within the Project Center, and then to change the project level fields in a convenient datasheet interface. In all honesty, I‘ve had decidedly mixed luck with getting this tool to work, and was about to skip a discussion of it, but then I decided to give it a second try. Thus, I spun up my Hyper V machine, installed the add-in and spent some time understanding how it works. This post represents the results of that second look. First off, the installation is pretty much the same as the Bulk Import Tool. If you need guidance on how to install it, I refer you to that post. Sometimes the tool just doesn’t work. I am not sure why. I suspect that it just stops working when the number of projects exceeds a certain limit, but I don’t know. In environments where I can’t get it to work, I fall back on using the Bulk Import Tool to perform bulk edits (as documented here). When selecting the projects to be edited, the user has the option to add a filter. For instance, if I only want to see the active projects, I can set a filter to only display projects where a custom field called Active=”Yes.” The filter actually seems to work pretty well on non-flag fields. Every time I ran the filter on a flag field, the tool would freeze. Filters to identify which fields are blank seem to be problematic. For instance, when I filtered on a multiline text field to see if it was blank (=” ”), the filter wouldn’t run. Filters on text and date fields seem to work just fine. Some fields seem to freeze the tool, for instance in preliminary testing, trying to bulk edit the Hyperlink tool didn’t quite succeed. Watch the Manage Queue page to confirm that the server is still processing the projects. Sometimes it’s hard to get the feedback that the server has completed publishing all of the projects. Review the option to Force Check In Enterprise Objects. Occasionally, some projects got stuck in checked out mode. 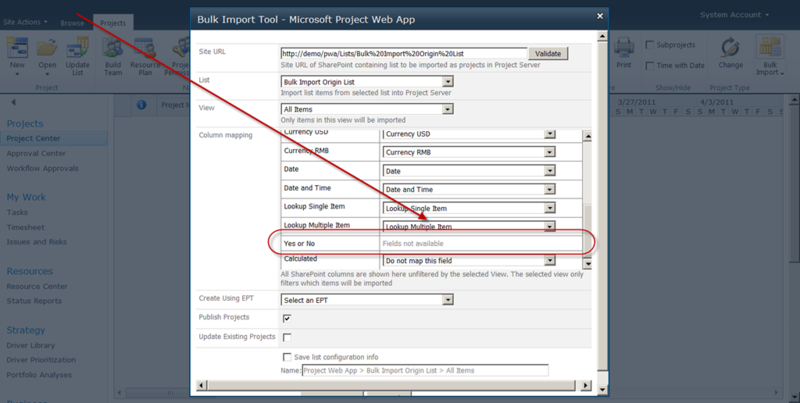 In my previous post, I discussed some of the mechanics of using the Bulk Import tool to either import data into Project Server or to perform a batch edit of existing project data. In this post, I wanted to expand on that topic by walking through the procedures that seemed to work for me when performing both of those functions. I would strongly recommend reading both posts before attempting to manipulate data in a production environment. The import process begins with the data in Excel. While your legacy data may reside natively in a SharePoint list, my guess is that the data must be scrubbed to match the new requirements of a Project Server environment, and therefore will be exported to Excel for analysis and modification prior to beginning this process. If your data resides in another data repository, then that only increases the chances that you will have to export to Excel. Hence, we start with Excel. Review project names for duplicates, leading spaces, trailing spaces, strange characters, etc. Review date fields to confirm that they appear to be dates and not text entries. Confirm the owner field matches the user name as displayed in Project Server exactly. Confirm that all outline fields and lookup fields match the lookup tables exactly – and that outline fields only include the lowest level entry – not the entire string of the outline hierarchy (see the previous post for more information). I found it helpful to add a unique identifier column on the left hand side of the data set that included both text and numbers, i.e. PROJ01, PROJ02, etc. When importing, this allowed me to identify exactly which projects were causing issues – and allowed me to skip one step in the SharePoint list modification prior to import. 2) Import the list into SharePoint. At this point, you may wish to make a strategic decision about the basic process that you intend to follow. As I mentioned in the last post, the import process only seems to work on a specific number of projects. At various times, I was able to import projects in batches of either 200 or 300. I am not sure what drove that, and maybe it was actually 200 all along, but it seemed to me that 200 seemed to be a safe limit. You may either create multiple SharePoint lists of no more than 190-199 projects – or you may opt to create a single list, import, remove the items that successfully imported, and then reimport the remainder. I personally found the latter process to be a little less time consuming – as it naturally relegated all of the exception projects with issues to the last batch. The first approach is equally valid however. Choose one. 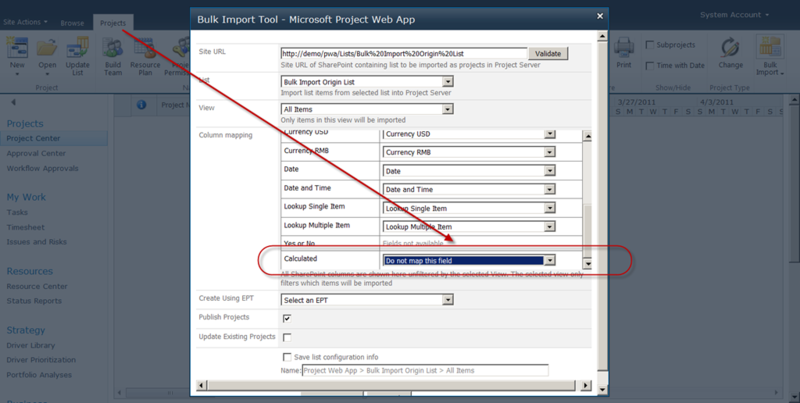 You also may only select one Enterprise Project Type per batch import. You may wish to split out your various EPTs into different lists for ease of import. Within PWA, select View All Site Content, choose the option to create a list, and then click on the option to Import an Excel Spreadsheet. This will import the source data to SharePoint. Navigate to the list settings. Review any multiline text fields (such as Description), and convert the field from the default rich text to plain text. Confirm that the fields imported properly. A date field shouldn’t import as a multiline text field for instance. 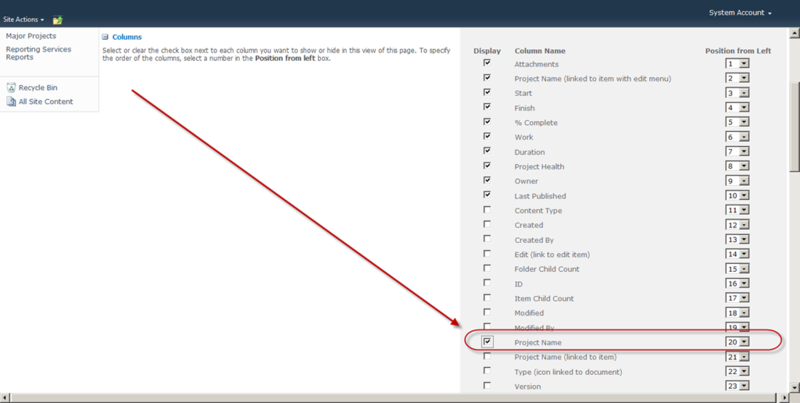 Modify the view and confirm that the Project Name field is displayed in a form that is not linked to the actual item. If it is linked, it will not be available for mapping during the import process. You now should go to Project Center within PWA, and if you haven’t already, create a view of the imported data. I usually add “TEMP” as a prefix to this view so if anyone actually sees it, they will know it’s not a real view. 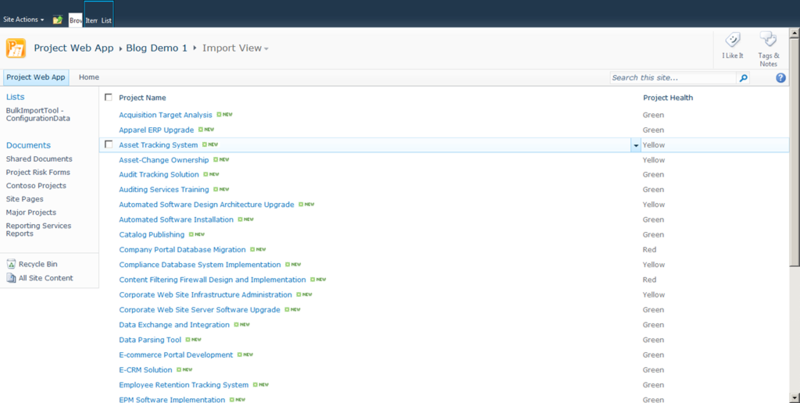 I’ll configure this view to only show the fields being imported, and perhaps to include any relevant filters. 5) Run the import process. Validate that all of the fields from the Excel sheet and the SharePoint list actually show up to be imported. For instance, if the Project Name field was the leftmost column on import, then the field was imported as the item title. The default SharePoint view will include that column as a link field, and it won’t be available to import into Project Server. If this is the case, go back into the SharePoint list view settings and add the unlinked Project Name column back into the view to make it available for the import. The import tool will display a summary of the project import status after the import has concluded *if* the total number of projects being imported fall within a specific parameter. I am not sure what this parameter is exactly, but the last time I did this, it seemed to be about 200 projects. If you are trying to import more than 200 projects, the green circle will stop spinning, and your queue will stop – signifying that the import process has concluded. 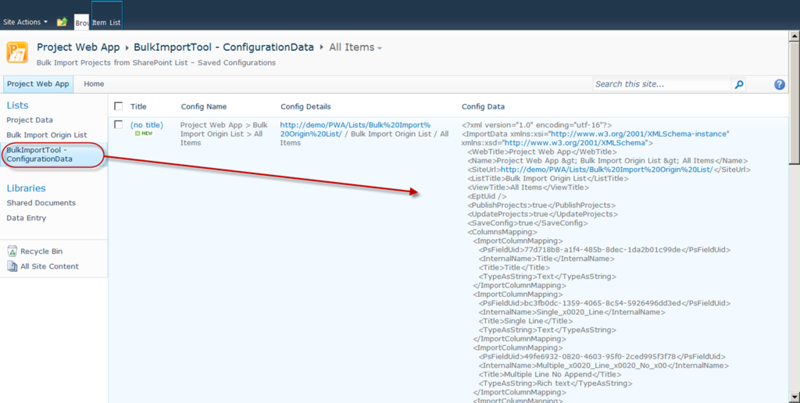 Simply navigate to your Project Center view and confirm the projects were imported. If you are importing less than 200 projects, the tool will display a list of project status at the end of the import process. Projects appear to be imported in the order in which they are displayed in the SharePoint list. Check the Force Check In option to confirm that all projects have been checked in. 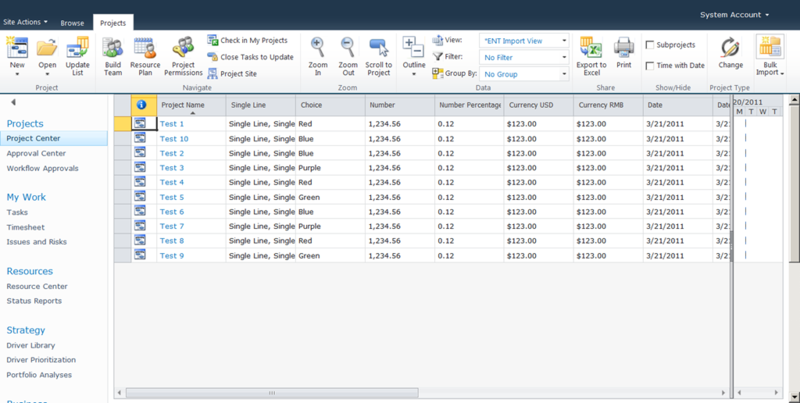 The easiest way to do this is to navigate to your Project Center view, refresh it, and then export the view to Excel. Once in Excel, you can use formulas such as vlookup, match, or other comparisons to confirm that the data in fact migrated. 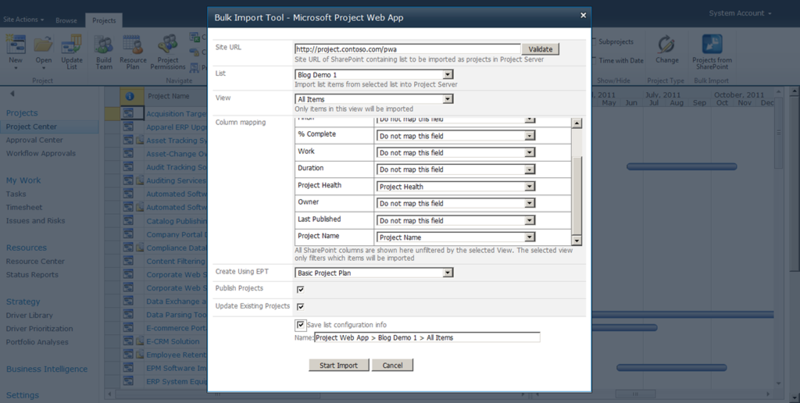 If you’re importing less than 200 projects, you may wish to make edits to the SharePoint list, and then run the import process one by one for the exception projects. If you’re importing more than 200 projects, I would match the project names in the exported Project Center list to my source data, and then remove any items that had imported successfully. The remaining projects get saved in another Excel file (Master Projects 2), and the process is repeated. To clean up the import process once you’re confident the data looks good, go into the import list and make sure it doesn’t appear on the Quick Launch bar. Go to Site Actions > View All Site Content and delete any of the temporary lists you had to create to pull the data into Project Server. Note that those lists will go to the site Recycle Bin and get deleted permanently as per your configured policies. 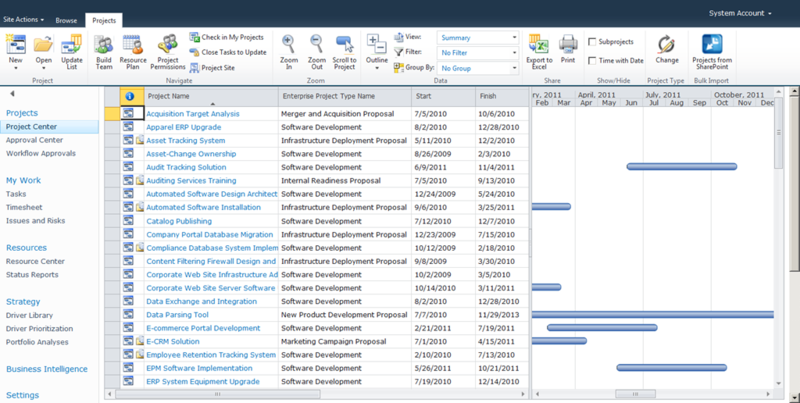 As above, create a Project Center View that contains the projects and fields to be edited. Export this view to Excel. Make the changes to the data in Excel. Do not change the project names. These names will allow us to map the data changes back into the Project Server data. 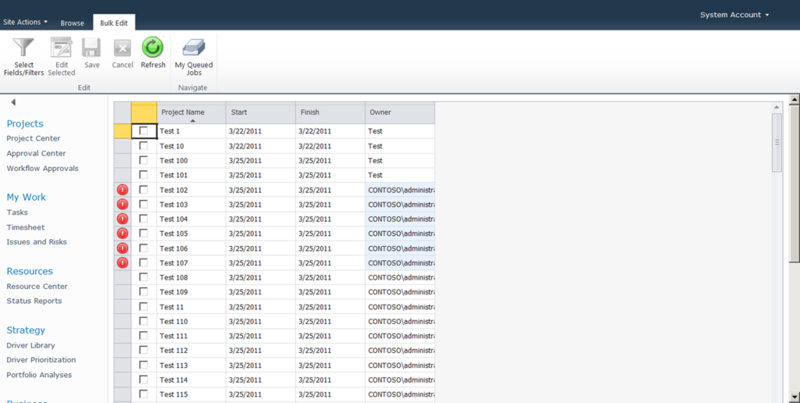 When importing the Excel sheet back into the SharePoint list ensure that the project name is the leftmost column. This will import the project name as the item name. Run the bulk import tool. Map only the fields you’re changing. You do not need to map the Project Name. The changes will be implemented in the Project Server data. If you are editing more than 200 projects, wait until the green circles stop spinning and the queue shows no more activity. If editing less than 200 projects, wait until the report appears at the end to show which projects were successful and which needed some modification before reimporting. Note that there is no need to select an EPT type. Review the Force Check In interface to confirm all projects have been checked in. Delete any lists used to import the data into Project Server. The Bulk Import Tool is one of the superstars of the solution starters that were released onto Codeplex to augment the native functionality of Project Server 2010. Again and again, I have been forced to use this tool – and to support clients who are trying to use this tool. This post represents the first in a two part series based on my experiences trying to understand how the tool works, and how it can be best used to support an EPM implementation. This has been a difficult post for me to write. Honestly, I think I’ve written and rewritten this post about three times. This has been one of those times where every time I think I’ve figured out exactly how the tool works, I’ve then been proven wrong. As of this writing, I think that I can at least predict how the tool works with reasonable precision. In the end, I realized that I probably had too much content for a single post, and thus am splitting this into two. Today’s post will focus on the mechanics of the tool, how to get it installed, and an overview of what works and what doesn’t seem to work. Tomorrow’s post will focus more on recommended procedures and how to use the tool to both import project data and to perform bulk updates of existing project data. Note that the following observations were made after using the tool in three distinct environments with different configurations. I was using the version in the December 2010 release. 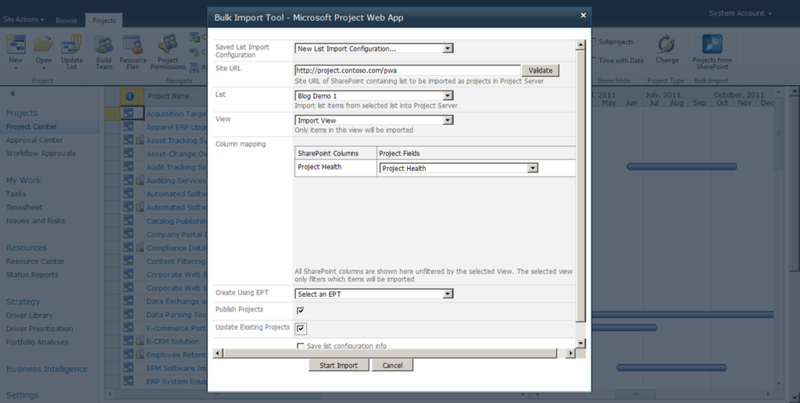 The Bulk Import Tool basically imports projects from a SharePoint list into Project Server. Why would you use this? Well, for a couple of reasons. If you’re just now implementing Project Server 2010, then there’s a good chance that your organization has a list of projects lying around that must be entered into the system. The list doesn’t have to be in SharePoint. Any old spreadsheet or Access database will suffice. As long as you can get the data into a spreadsheet, you’re pretty much good to go. The other reason you might use this technique is to update the project level metadata on existing projects. 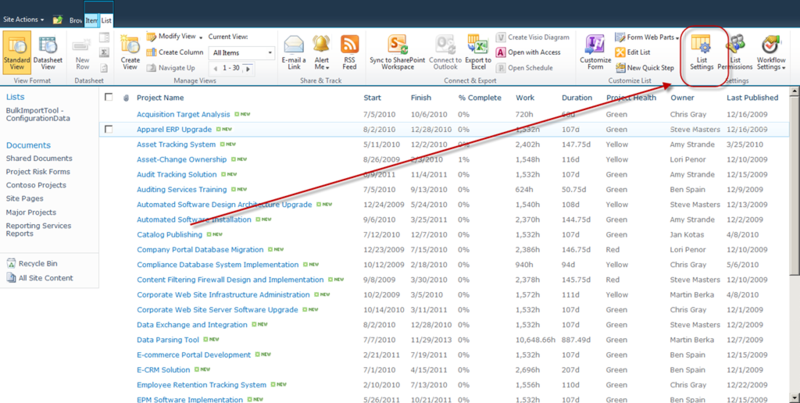 You can use the tool to effectively import specific fields into the Project Center views. This kind of conflicts with another solution starter, the Bulk Field Edit tool, which will be a topic for another post. For now, let’s just say that I am still trying to understand the rules upon which the Bulk Edit Tool works, and am far from making it behave predictably. The tool installation is pretty straightforward. Simply download the Zip file from Codeplex. Unzip the directory, and copy the Bulk Import Tool folder to the desktop of your server. 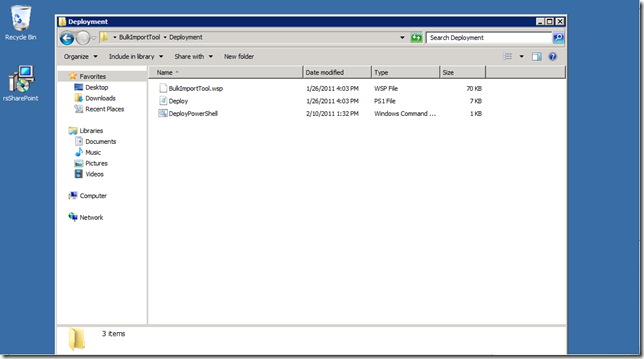 Open the Deploy Powershell file in Notepad. Change the Site URL to the correct URL for your Project Server instance. 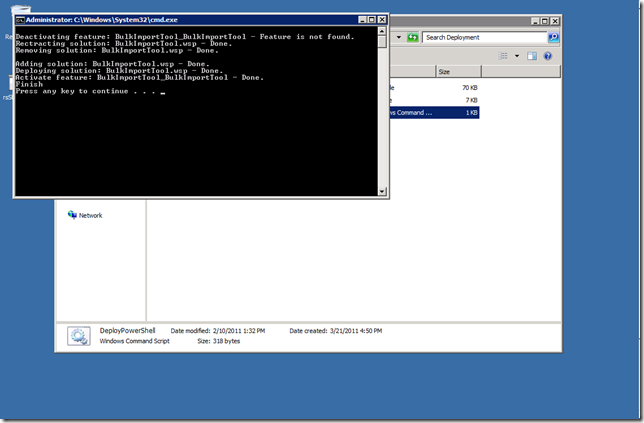 Right click on the Deploy Powershell file, and select the option to Run As Administrator. Confirm that you get the following message. 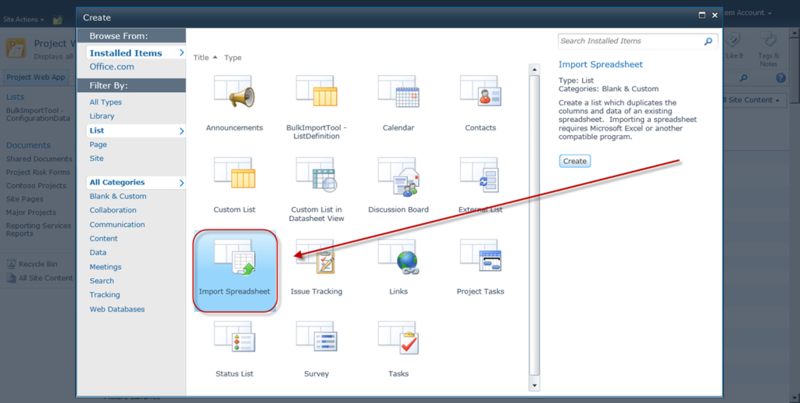 Navigate to the Project Center to confirm the new button appears on the Ribbon. Careful preparation will ensure that the import process occurs smoothly. Unless your processes require otherwise, my general recommendation would be to export any list to Excel, clean the data in Excel, and then create a custom list based on the spreadsheet. This will make your life a lot easier. In my real life experience, this part was complicated by the fact that there’s some weird issue with SharePoint 2010 which means some site collections don’t allow you to create a list by importing a spreadsheet. Some site collections do. The first site collection caused the following error: Method ‘Post’ of object ‘IOWSPostData’ Failed. There are fixes for this if you simply do a search on the Web. That had me sweating for a while, until I realized that I could use a quick and dirty workaround of just creating the list in a datasheet view, then copying and pasting the data from my spreadsheet. The second site collection worked just fine. If you’re importing a large number of projects (in my case, about 1,000), your experience will be much smoother if you find a site collection that actually works, or can simply fix the issue. The other thing that will make your life easier is to understand exactly what data types will import using this tool, and what data types do not import. I did a rough test with almost each of the SharePoint field types with the following results. Note that much of the content below applies to SharePoint lists. If you’re using Excel to clean the data and simply importing into SharePoint for the purpose of staging your data for the tool, you may not have to worry about such things as calculated fields, etc. 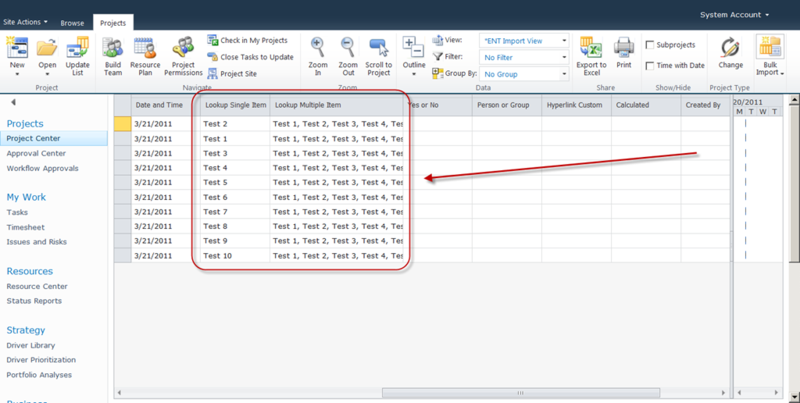 Calculated Excel fields will simply import into SharePoint as text or number fields. Text, Single Line – imports to text fields, no problem. Text, Multiple Line – imports to multiline text fields, no problem – provided that the field has been set to plain text within SharePoint. When importing from Excel, the default setting is a rich text field – which will not import into Project Server. I’ll discuss that in more detail tomorrow. Text, Multiple Line (w/ Append) – imports the most recent entry to multiline text fields. Does not import historical records. See the note above with regards to plain text vs. rich text. Choice field – imports into text fields, no problem. Number field – imports into number fields, no problem. Number field (percentage) – imports into number fields as a decimal. Currency – imports into an available currency field. Note that the import process will convert the currency symbol to whatever the default Project Server currency is. I.e. a SharePoint field denominated in Chinese Yuan will import into Project Server as US Dollars. Date – imports into date fields. There’s a weird quirk (which could have been my virtual environment) that dates get appended with a 5:00 AM start time. So 3/21/2011 gets imported as 3/21/2011 5:00 AM (if you’re displaying time, which few people do for project level fields). This may be annoying if you end up importing SharePoint date fields into Project Server text fields. 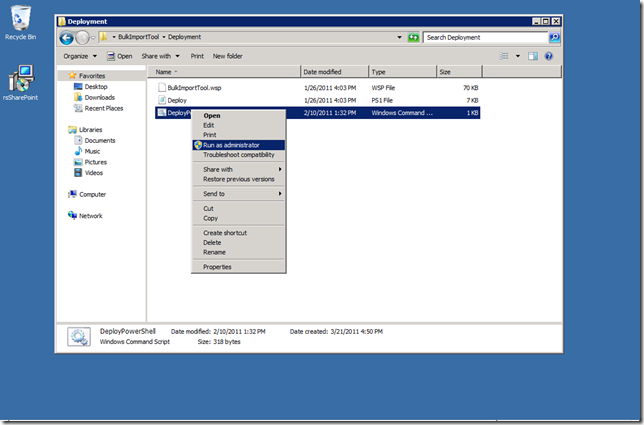 Date and Time – imports into date fields. This too demonstrated that weird quirk where the import seemed to add 5 hours to the imported time. For the most part, that’s probably not an issue. 3/21/2011 6:30 AM becomes 3/21/2011 11:30 AM. However, in some cases, that will flip the date to the next day, i.e. 3/21/2011 10:00 PM imports as 3/22/2011 3:00 AM. I didn’t spend much time troubleshooting this, but keep it in mind if your dates seem to change randomly. Lookup Single Item – imports provided the lookup table in Project Server has exactly the same values. I’ve noticed when exporting from SharePoint to Excel however that Lookup fields do get a bit garbled – so you may take that in consideration if you’re using SharePoint columns that reference other lists. 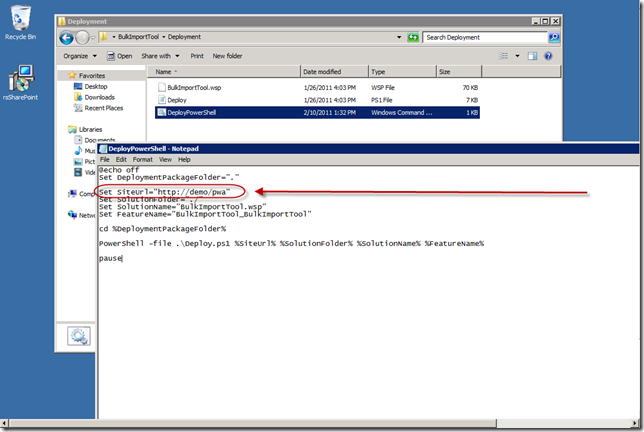 Lookup Multiple Item – imports provided the lookup table in Project Server has exactly the same values. Note also the caveat above. Person or Group – Looks like it should import, but doesn’t. Probably because it contains the “\” character. Hyperlink – Does not appear to import. Calculated field – Imports only as a text field. Even if you calculate a number value, this will only offer you the option of mapping it to a text field. Note that Outline fields function a bit differently than you might expect. For instance if you have an outline in Project Server configured as 1.Red, 1.Blue, 2.Purple, and 2.Mauve, you do not want the source data to include each level of the outline. If you try to import “1.Red,” the tool will not import the value and leave the cell blank. If you import “Red,” the value will get imported and mapped to the outline structure appropriately. I am not sure how the system will behave if you have identical multiple lower level values such as 1.Red and 2.Red. My guess is that you would want to change that temporarily to 1.Red and 2.Red2, import the data, then change the lookup table back to 2.Red. As the project values are tied to the lookup table GUID, the change should cascade through existing projects. As usual, you should test that in a test environment before deploying in production. The Owner field is a key part of the Project Server security configuration. This field will import provided that the list entry matches the AD name displayed in Project Server exactly. Do not try to include the actual AD login account name, as this won’t work, and the tool will balk at importing the “/” that is part of the AD. So, import “Scott Smith” and not “AD/SSmith.” If the system cannot recognize the owner name, the field will default to the account of whomever is actually performing the import. For this reason, you may want to confirm that you are logged in as the service account for the import. I’d also recommend considering opening up the Project Manager:My Organization permissions immediately after importing so project managers can change the ownership of mislabeled projects to themselves. Once that’s been sorted out, ratchet security permissions back down. The Project Name field will throw an error on special characters. As far as I can tell, the only characters that won’t throw an error are the dash or parentheses. You’ll have to remove periods, quotation marks, colons, semi-colons, and commas from project names prior to importing them. 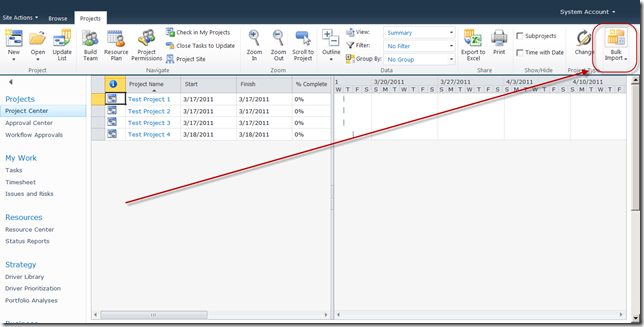 Also remove any leading or trailing spaces in the project name. Duplicate project names will throw an error, so you may want to confirm that this will not be an issue. After assessing which fields will or will not import into Project Server using this tool, confirm that your enterprise custom fields and lookup tables have been created within Project Server. You may wish to turn off any required fields as they may cause the import process to fail. The tool will automatically map the fields provided the names match. Automatic mapping won’t work for required fields as they show up in the tool as with the “*” prefix, i.e. *Project Departments. The tool won’t automatically map an imported Project Departments Field to the *Project Departments field in Project Server – but allows you to manually map these fields. At this point, you should also pay attention to project names, and ensure that project names do not include any “strange” characters such as “&” or “/.” If you’ve used Excel to clean the data, go ahead and create a new custom list using the option to import the spreadsheet. Now the real fun starts. Before running the tool, you may wish to log into the server using your service or administrator account. Whomever runs the tool ends up being the owner of all of the imported projects where the owner field could not be resolved, and aesthetically, it probably looks better to have 1,000 projects assigned to a service account than to your own name. Let’s run the import tool. 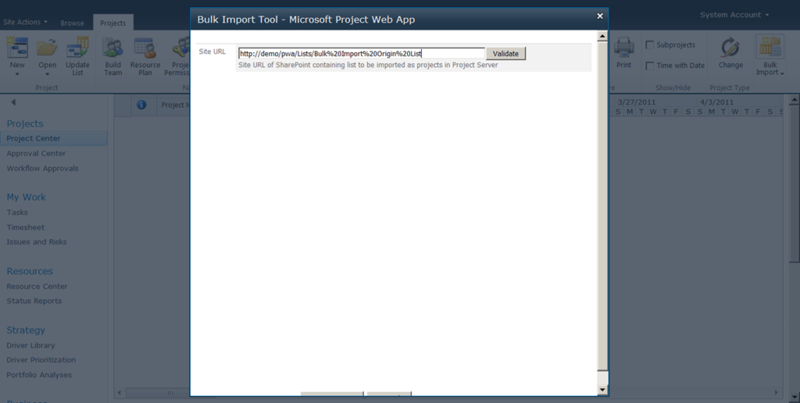 From the Project Center, click on the button in the Project Center and add the URL of the source list. Click the Validate button. You’ll see the tool will take a stab at mapping the fields that share a name with the target fields. As mentioned above, Yes or No fields do not get the option of importing into Project Server. 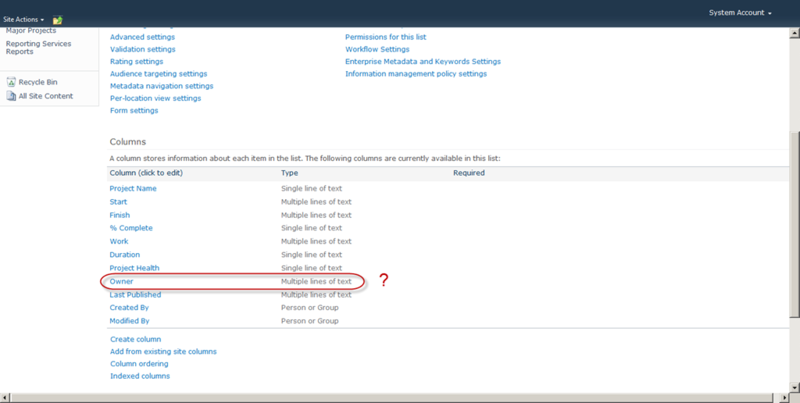 Also note that the calculated SharePoint field attempts to map to a text field even though it has been set within SharePoint to be a calculated number. When reviewing the options to map it to, the list only displays text fields as options. I assign a default EPT, select the option to save settings, and kick off the import process. I had a couple of experiences here at different times. The first time I tried this, I left the Update Existing Projects field unchecked as I was importing projects into a blank environment. Nothing happened. Then I checked the box and ran the import again, and it actually imported projects. I am not sure if that was a consistent experience, but watch your queue after kicking off the import process, and if nothing happens, that could be the culprit. If everything works well, I get the following confirmation message. Generally, I only got this message when I was importing projects in batches of approximately 300 or less. Trying to exceed that arbitrary 300 project limit often meant that I had to monitor the queue until it looked like the import process had completed, the green dots stopped swirling, and I could click off the import window. I’ll discuss this phenomenon in more detail for my next post. Also note that after the import tool has been run, you should check the Force Check In option under Server Settings. A couple of times, one or two projects was stuck in checked out mode. Now let’s review how well that worked…. 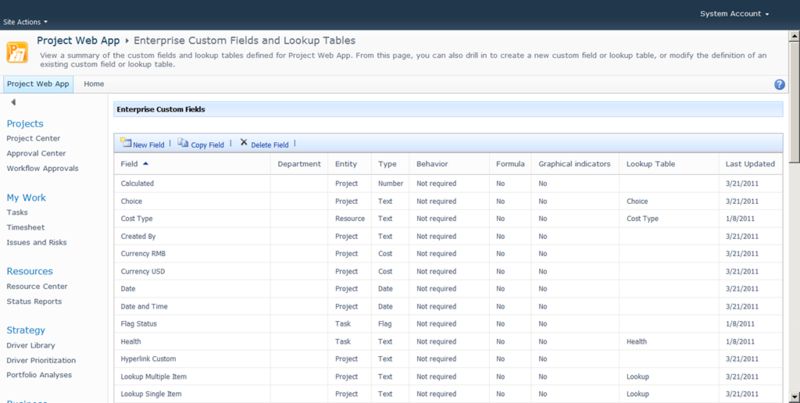 To do so, I create a custom Project Center view with all of the custom fields except for the multiline fields (which do not appear in the Project Center.) At first glance, everything looks good. When I scroll over to the right however, it doesn’t look as good. So the lookup fields do import when the lookup table values match exactly. Looks like everything worked there – with the possible exception that the multiline field with append only picked up the present value and not the previous values. Still, that’s a bit better than I was expecting in all honesty. Import all 1,000 projects into a SharePoint list. Import all 1,000 projects into Project Server. Only about 300 import. Identify the remaining projects. Import these 700 projects into a second SharePoint list. Import those 700 projects into Project Server. Only about 300 import. After importing, note that the entire mapping schema has been saved to a newly created list. You may wish to go into the List Settings for this list to toggle it off of the Quick Launch bar. To reimport from the same list with the same mapping, simply select that option the next time you run the Bulk Import Tool. Validate that all of your projects indeed imported. To do this, I would use the Project Center Export to Excel option and compare the results to my source data. Restore any Project Server enterprise custom fields that must be set to required. Take the Bulk Import Tool configuration list off of the Quick Launch bar lest it confuse your end users. Review the imported projects for additional data that must be added. Identify the appropriate ownership for the imported projects, and set them accordingly. The Bulk Edit Tool is useful for this. Set any flag fields as appropriate and remove any temporary fields added to facilitate this process. Again, the Bulk Edit Tool is useful for this. …and that’s it for the basics. With my next post, I plan to walk through the import process more from a procedural standpoint and less from a mechanical standpoint. 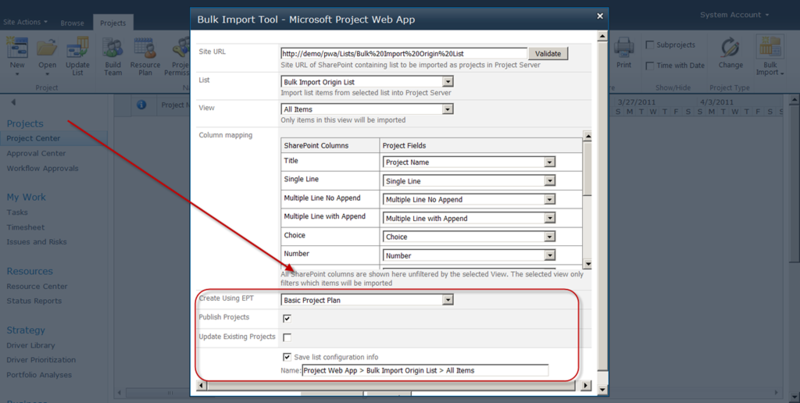 I also plan to address how to use the Bulk Import Tool to perform bulk edits of existing project data.